The following items from the Library’s Local History collection have been digitized and are accessible to the public online. This document describes the creation of and meaning behind the Village of Rochester’s Coat of Arms. The Library is pleased to announce our digitization of the 1918 Orange Judd Pictorial Community Album of Rochester Township and Village. We have made the Orange Judd Album available freely online as a digital flipbook, which can be viewed below. 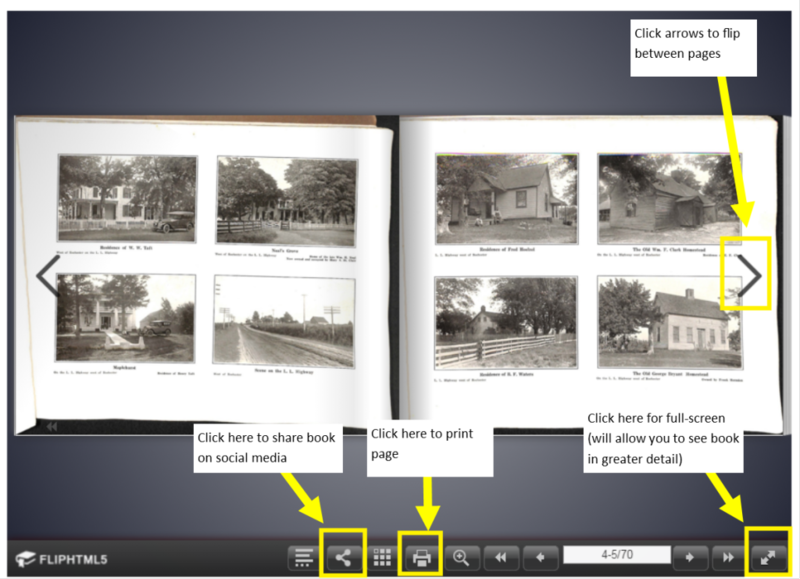 If you need help using the flipbook, see the photo guide at the bottom of the page. We recommend that you view the album in full-screen, as this will allow you to see the pictures in greater detail. Please contact the Library with any questions. To share the flipbook on social media, click on the < icon on the flipbook menu.